It’s the first Tuesday of September, which means that your PlayStation Plus free games for the month are now available. 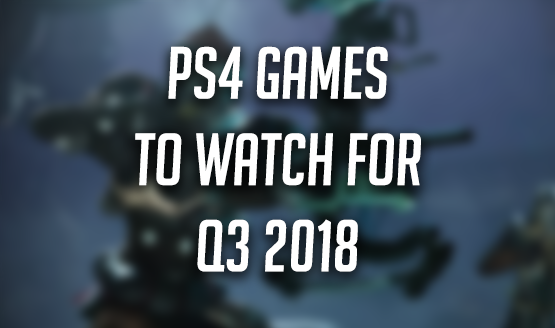 Sony has announced that the free PlayStation Plus free games for September 2018 will include the popular MMO first-person shooter hybrid, Destiny 2, and Kratos’ final outing in Greece, God of War III Remastered on the PS4. That’s not all though. This month hides a few other surprises for players. Every game available can be played on PS4. While it’s not always the case, the lists between North America and Europe are completely identical in August. That means everyone gets to enjoy the same games. Destiny 2 was made available for free starting last week so that players could get a jump start ahead of today’s Forsaken expansion launch. These titles will be available until October 2 (except the PlayLink game, which will be available longer). Once a title is redeemed, you can download and play it at any time as long as you have an active PlayStation Plus subscription. What do you think of the September 2018 PlayStation Plus free games? Which free PlayStation 4 game will you be playing first? Are you happy or disappointed with the list? Let us know what you think about all of the PlayStation Plus bonuses in the comment section below! Don’t miss the new weekly PlayStation Store sales, which include a large number of Plus deals and a Rockstar Sale this week.